The fraying roots of a Banyan Tree, Chitwan, Nepal. What amazing roots! 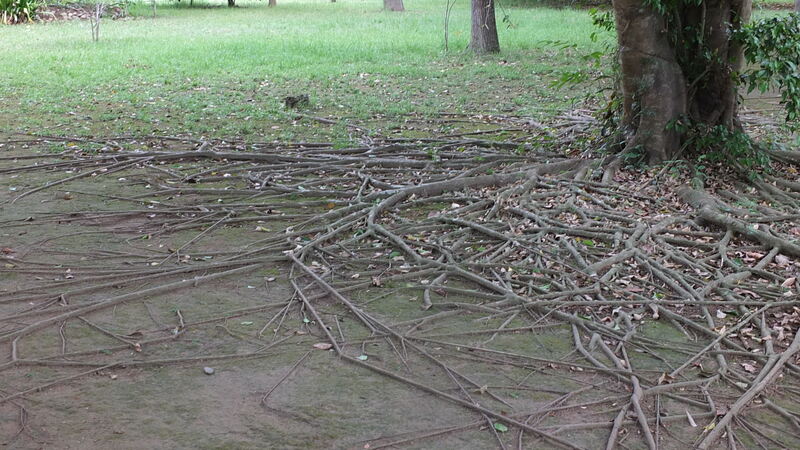 It doesn’t look as though the tree would stand up to a large storm, but perhaps there are many deep roots below. Thanks. Yes, I know what you mean. But the trees there were so old and gnarly, there must be deep roots for them to survive so long.